GIGABYTE X58A-UD9 motherboard was behind yet another significant global world record today. 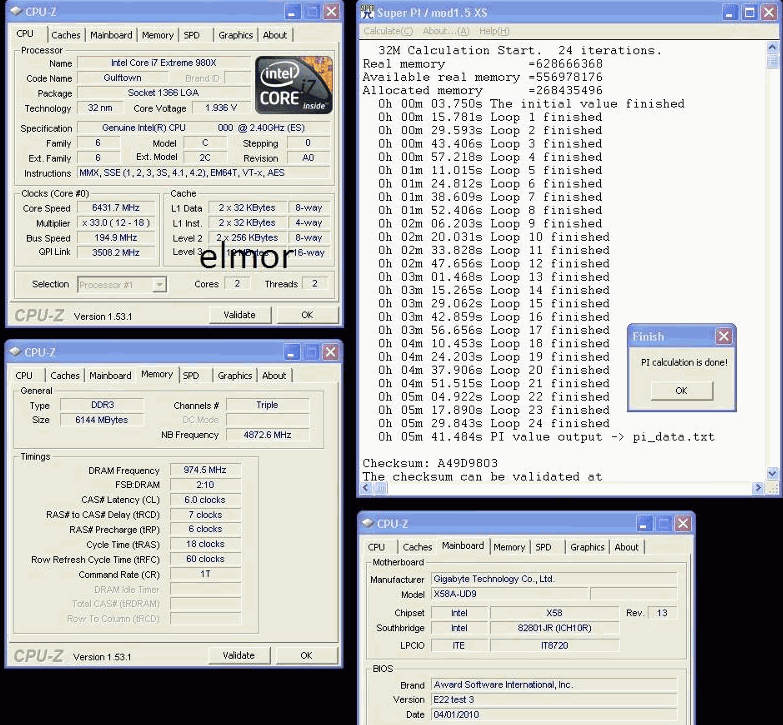 Elmor, Swedish overclocking champion, broke the record with a Core i7 980X running at 6431MHz. GIGABYTE's bios engineers made some significant changes with help of some top overclockers to improve bios efficiency beyond its competitors. Congratulations Elmor!